When French women started wearing their hair arranged high above their heads, English ladies soon followed suit. But Georgiana didn’t just copy the trend. She expanded it. The Duchess began wearing a three-foot hair tower that required two hairdressers and several hours of work to arrange! These huge hairdos were created by sticking, with the help of a scented pomade, pads of horse hair to natural hair. Then, Georgiana would decorate the top. To do this, she would sometimes use small ornaments, while at other times she would sport something more bizarre like a ship in full sail, stuffed exotic birds, or even a pastoral tableau complete with little wooden trees and sheep! Soon, women started competing with each other to create the tallest head tower. To be fashionable, women were willing to sacrifice comfort. 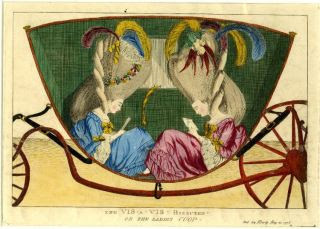 Not only they couldn’t make quick movements while wearing all that stuff on their heads, but they also had to sit on the floor of their carriage not to ruin their hairdos! And they were laughed at because of it. One night, Georgiana wore a big headdress of red and white flowers to the opera. On her next visit, the celebrated singer Signor Lovattini came on the stage wearing the same, enormous headdress on his head! The crowd burst out laughing. Far from being offended, Georgiana turned to the singer and made him a low bow. Impressed, the people cheered their approval. Next, Georgiana started wearing an ostrich feather which she would attach in a large arch across the front of her hair. Lord Stormont, the British ambassador in Paris, gave her one that was four feet long! Georgiana wore it, and, of course, every woman wanted one too. These very long feathers were, however, very difficult to find and, as a result, very expensive. Poor people were outraged at this new fade. According to Lady Louisa Stuart, “the unfortunate feathers were insulted, mobbed, hissed, almost pelted wherever they appeared, abused in the newspapers, nay even preached at in the pulpits and pointed at as marks of reprobation”. This didn’t faze Georgiana, not even when a crowd of people almost attacked her because of her hairstyle. 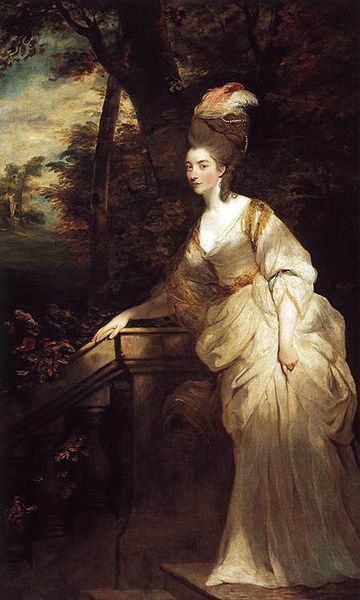 The Morning Post once wrote: “The Duchess of D-e has a fashionable coat of mail; impregnable to the arrows of wit and ridicule; many other females of distinction have been made to moult, and rather than be laughed at any longer, left themselves featherless; wile her Grace, with all the dignity of a young Duchess is determined to keep the field, for her feathers increase in enormity in proportion to the public intimations she receives of her absurdity. Her head was a wonderful exhibition on Saturday night at the Opera. The Duke is quoted as saying she is welcome to do as she likes as long as she doesn’t think it ‘necessary that I should wear any ornaments on my head in compliment to her notions of taste and dress. '” Eventually, Queen Charlotte banned the feathers from court, and this fad quickly disappeared. Georgiana would still be portrayed in satirical prints donning her infamous tall ostrich feathers long after she had ceased wearing them. But it wasn’t only satirical artists and newspapers that made fun of Georgiana’s fashion sense. Once, a couple appeared in the stalls of the Haymarket Theatre. The man was wearing an oversized petticoat with a ducal coronet and jewels on his head, while the woman enormous breeches that extended all the way up to her armpits and ostrich feathers in her hair. 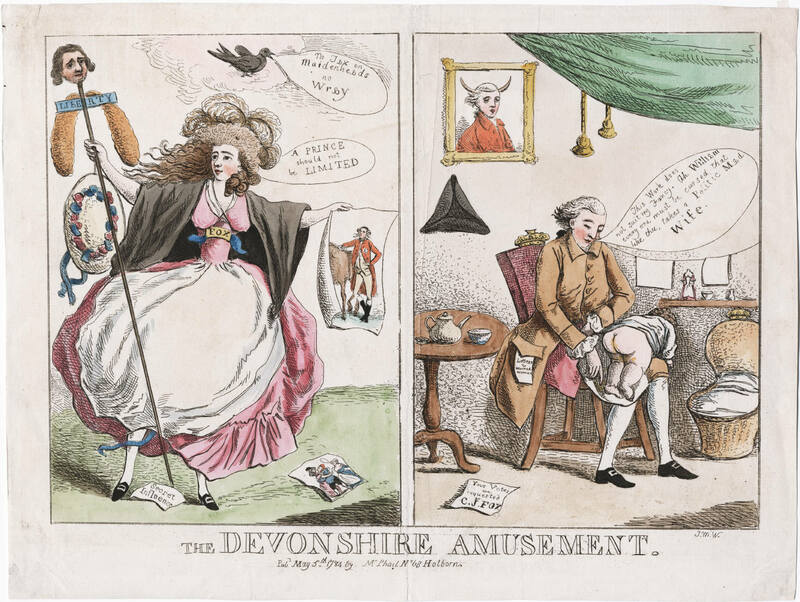 The attack was more directed to the Duke of Devonshire than his wife. He had never been a popular figure, while Georgiana had become a big celebrity just months after their wedding! 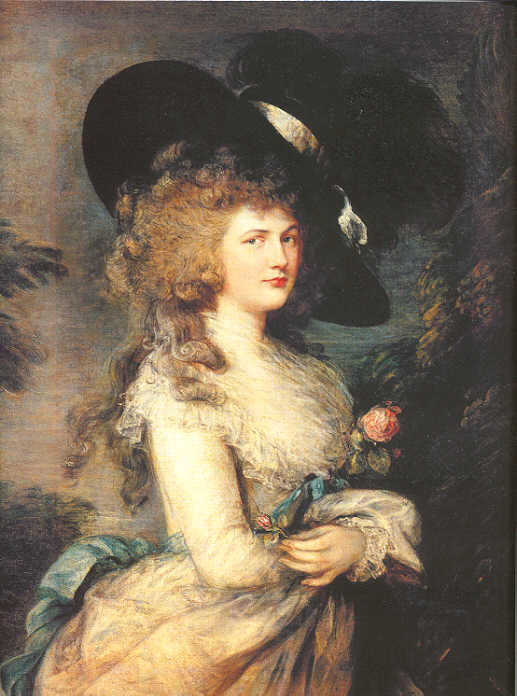 When Georgiana posed for Gainsborough, she wore a huge black wide-brimmed hat decorated with a sash over the crown and feathers she had designed herself. Soon, the hat would become known as the picture hat and any lady who could afford it rushed to her milliner requesting one. Georgiana also seemed to favour a shade of brown. It was called Devonshire brown, but unfortunately that’s all that we know about it now. What do you think of these trends? Would you have worn them?